I am a happy owner of the popular “Alex” drawer system from IKEA. 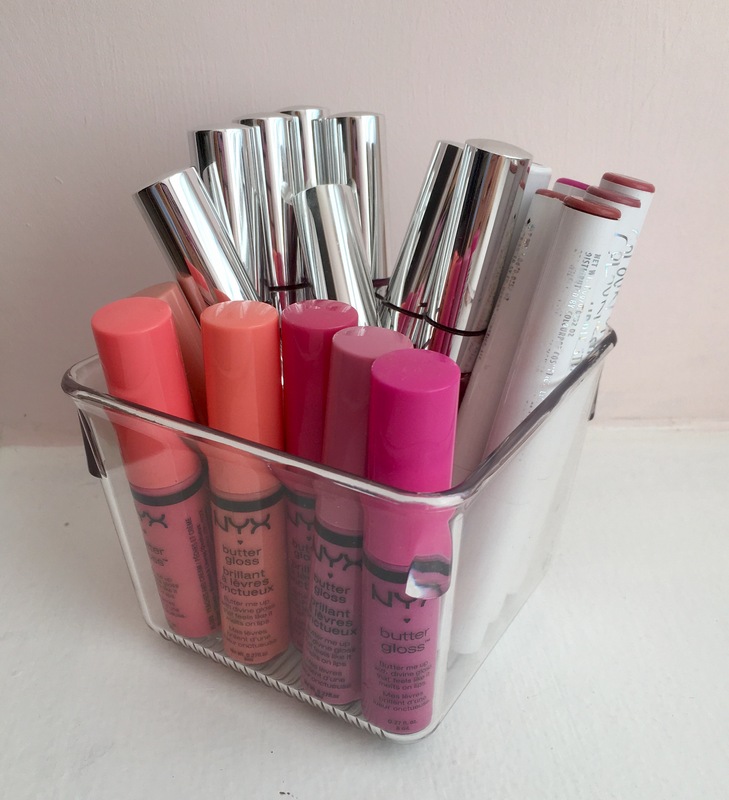 This organizational unit is awesome at storing beauty products. The depth of the top five drawers are perfect for laying down eyeshadow palettes or stacking powders and single eyeshadows. The four bottom drawers are even deeper, making them perfect for storing bulky makeup bags or other larger beauty tools. 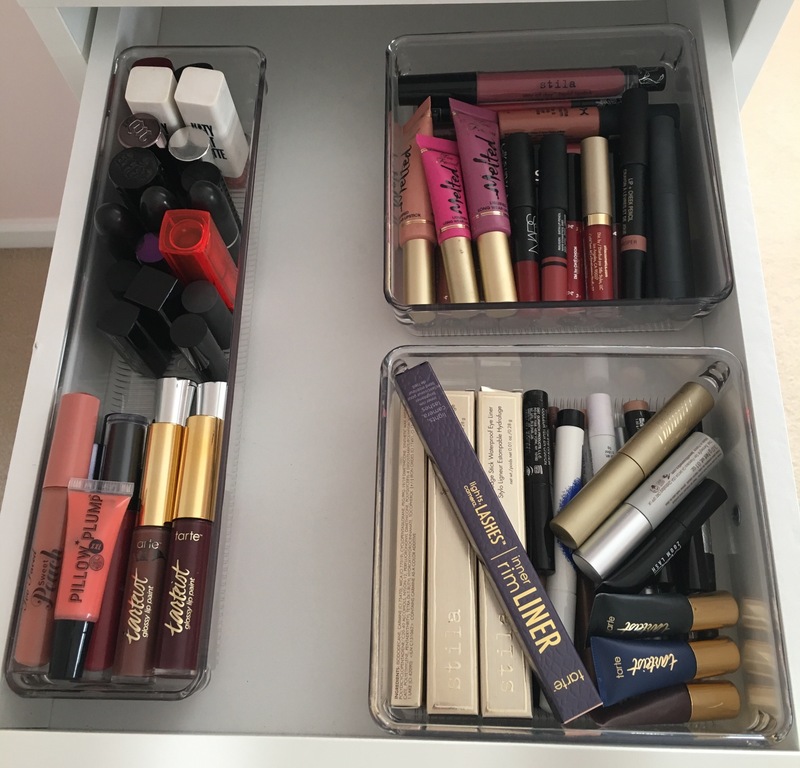 Initially, I tried to organize my collection by designating a drawer to each type of makeup item. 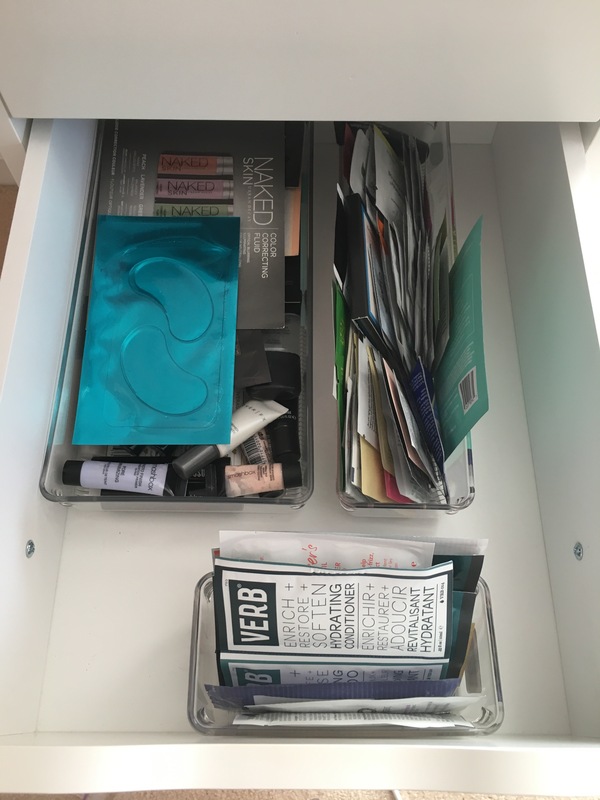 For example, my top drawer was only filled with eye products, my second drawer full of skincare, my third held all my foundations and powders, etc. This system lasted for about a year, until I realized that the inside of the drawers looked so messy and disorganized. 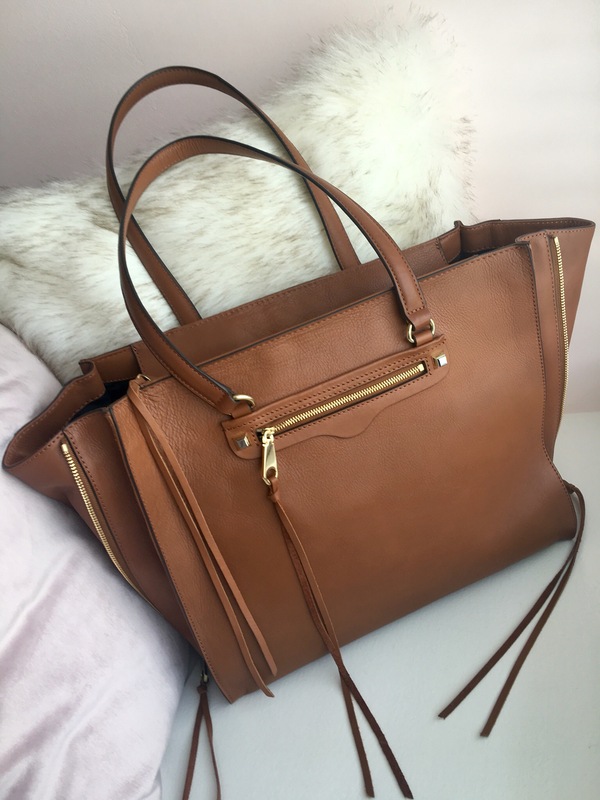 I was burying products under more products and not properly evaluating what I already owned and needed to use. I began doing research on ways that other “Alex” drawer owners sorted the contents of their units. 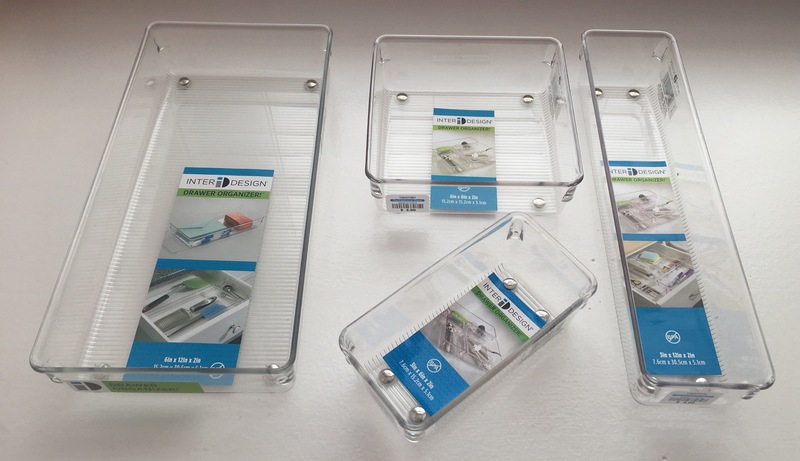 I saw that a lot of people recommend the “Linus” drawer system from The Container Store. I had never previously shopped there, but I was intrigued by the idea of a store being solely dedicated to organization. The “Linus” system looks like it’s designed for kitchen or desk drawers and allows you to configure the layout since they come in different sizes and shapes. The “Linus” collection has two different categories of sizes; Shallow and Deep. I will list the different ones that I bought and my purposes for each one below! 4″ sq. – These are pretty small, so I just stored some small hair masks, think sample sized products in this. 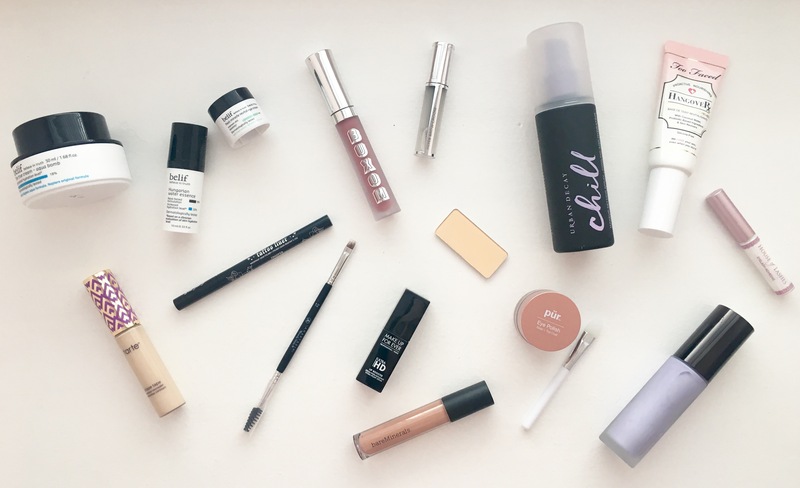 4″ x 8″ – I used this for storing single eyeshadows and eye primers. 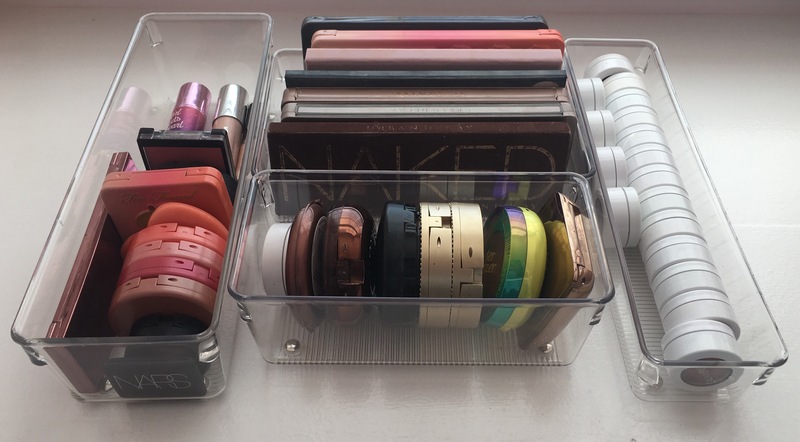 4″ x 12″ – I stacked my single blushes (fits Tarte) and highlighters. You can fit three of these next to each other in one drawer. 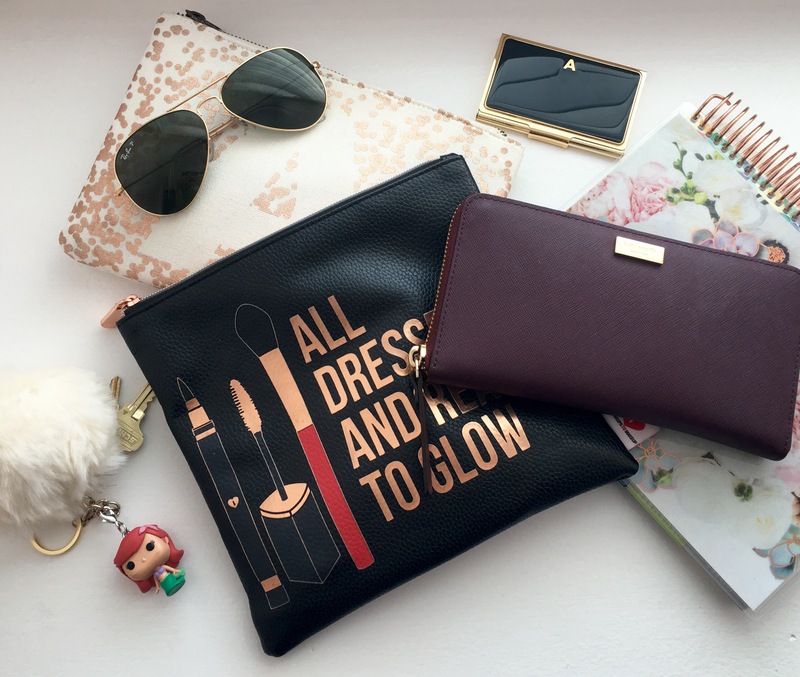 6″ sq – I used this for storing my ColourPop liquid lipsticks, lippie sticks and NYX butter glosses. 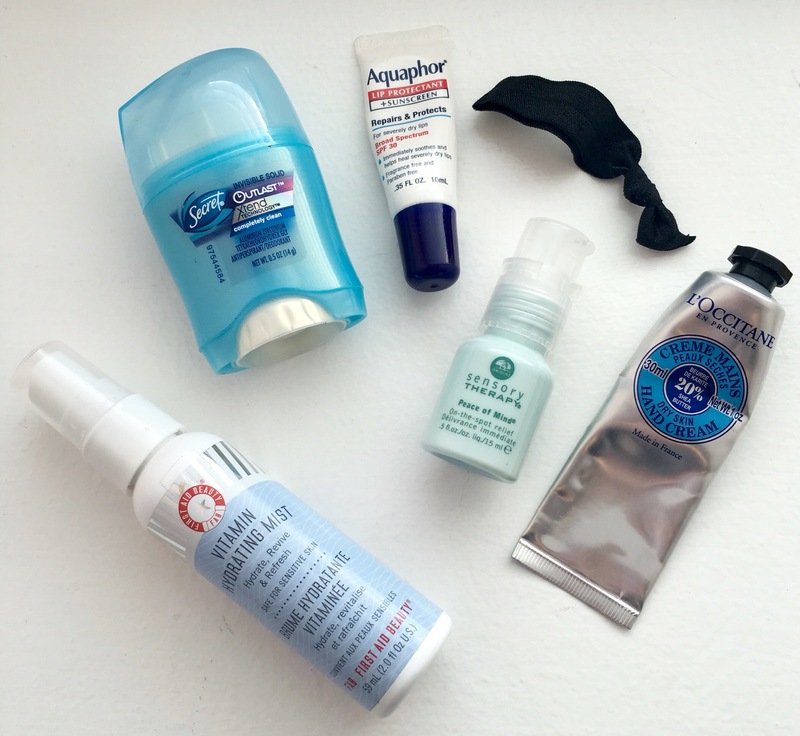 I reach for these every day, so I plan to keep this container on my vanity. 3″ x 6″ – I put samples that come in little packages with online orders into this! 3″ x 12″ – I was able to fit my Too Faced small eyeshadow palettes into this. 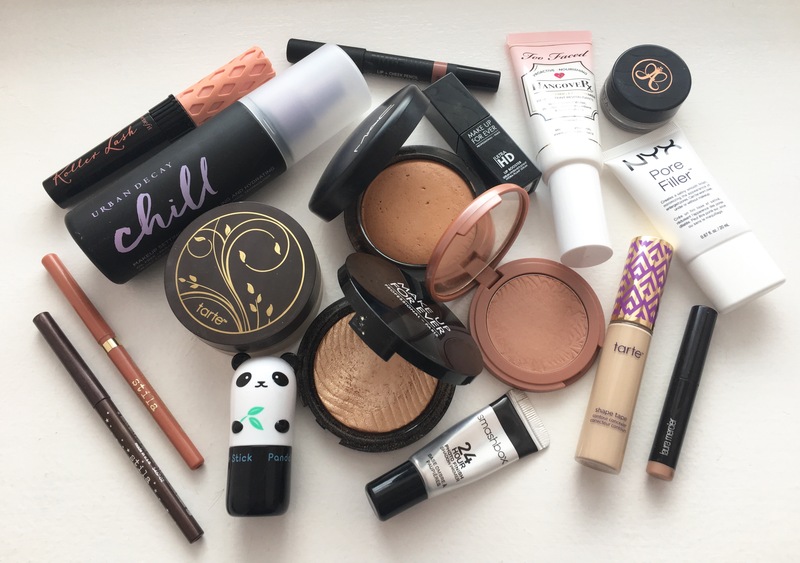 I also used this for bronzers as well! 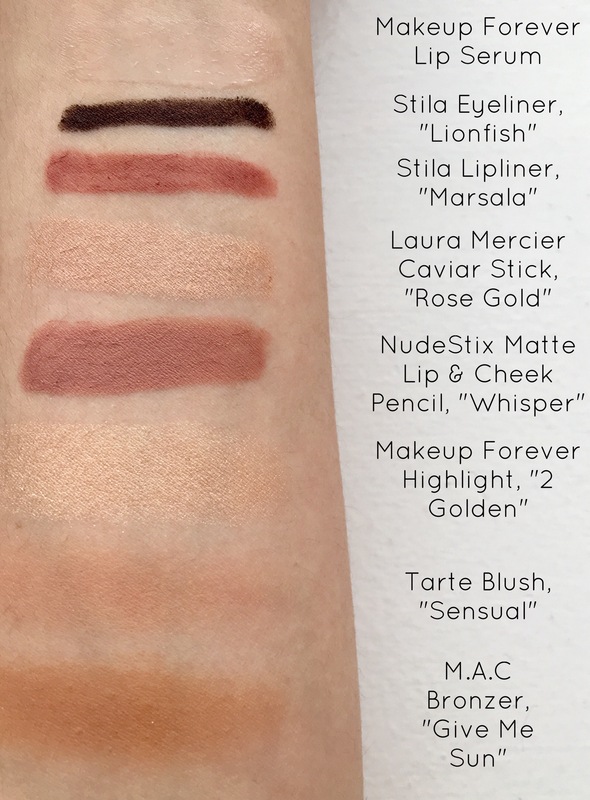 6″ x 12″ – I stacked my ColourPop single eyeshadows into this since it’s so narrow. It kept them from rolling around when I close the drawer, which was perfect! 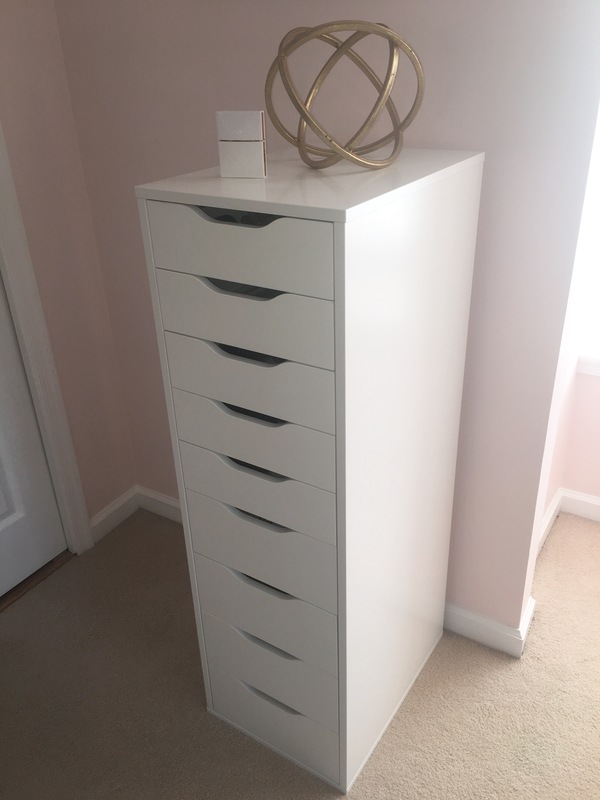 I would highly recommend the “Alex” drawer system if you are in the market for a storage unit that can blend in with the other furniture in your room. It really holds a lot when you break it down drawer-by-drawer, but it doesn’t take up that much space. The “Linus” collection from The Container Store is awesome to sort your items by category and understand visually what you have. Since they are acrylic, they’re super easy to clean as well! I can see these working great in a kitchen too since you can place the various sizes of containers together to fit in one large drawer. 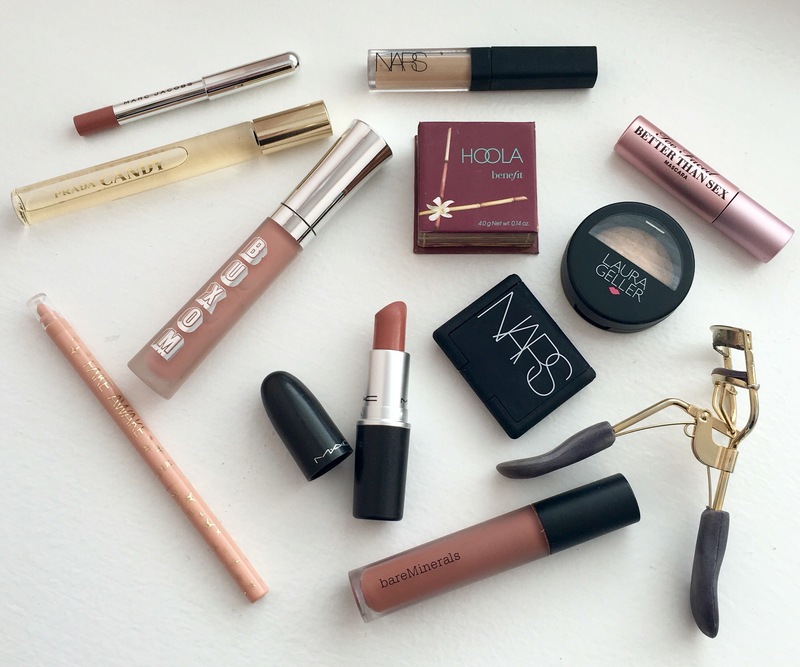 What are some ways that you’re able to manage your makeup collection?! I know there has to be some other creative ways to store and organize! I also want to know how you are able to rotate items through your collection, does anyone participate in Project Pan or do Shop My Collection posts? 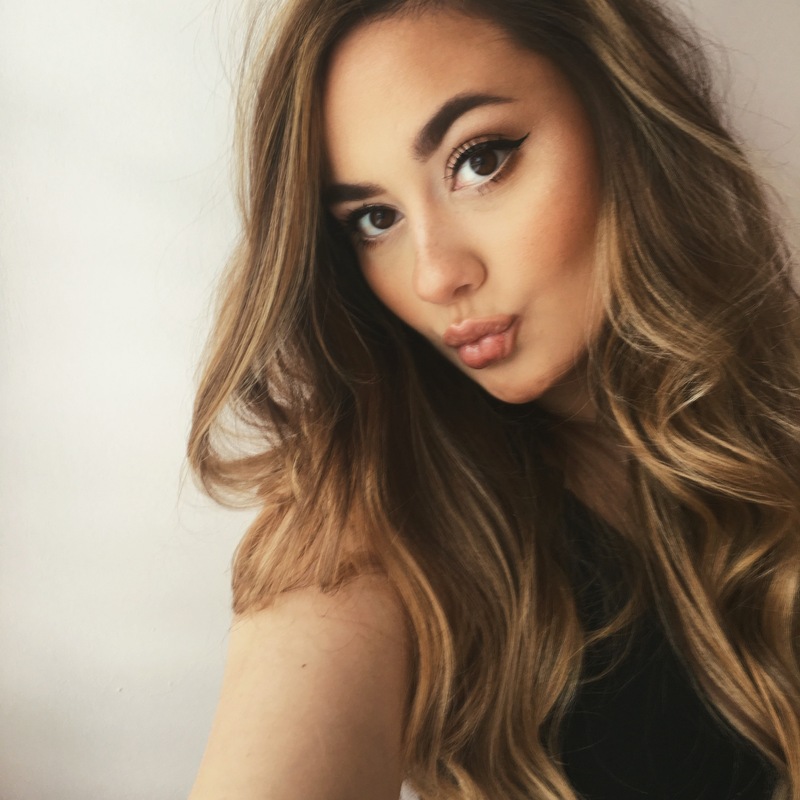 I would be very interested in reading and finding ways to actually use the makeup that I’ve purchased! I hope you had a very Happy Easter and thank you for reading!